Author: Butcher, Kristin Set In . . . Description: Everything is going well in eleven-year-old Annie's ordered life--until she finds out that her ailing grandmother is coming to live with the family. A virtual stranger, her grandmother takes over Annie's room, smokes in the house, runs her mother ragged and turns Annie's whole world on end. Annie fights to stay afloat as her problems, both at home and at school, multiply. In an attempt to help her cope with the changes, Annie's parents enroll her in a local genealogical society where she grudgingly embarks on a journey to learn her family tree. In the process she discovers not only that her grandmother has a wealth of knowledge and stories about their shared family history, but that she was not always the angry old woman she seems to be. 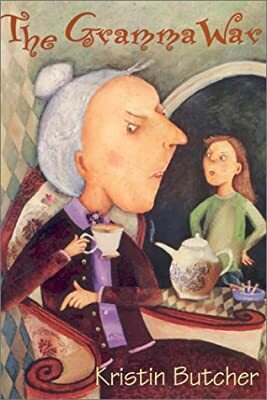 A humorous, fast-paced story that approaches a difficult subject in a novel way, The Gramma War will speak to all children who haven't had the chance to get to know their grandparents, and who sometimes wonder at life's fairness. In a time when extended families are spread around the globe and family ties are ever more tenuous, The Gramma War shows that we need to embrace the family experience, with all its blemishes.